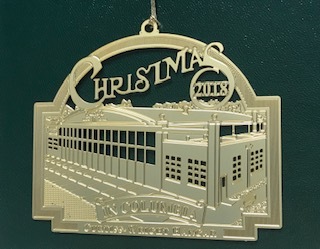 The 2015 Christmas in Columbia Ornament of Opportunity depicts the Spirit Communications Park, the future home of the Columbia Fireflies! The limited edition, collectors series ornament in 24-karat gold on brass. It comes in its own felt case, with a number Certificate of Authenticity. 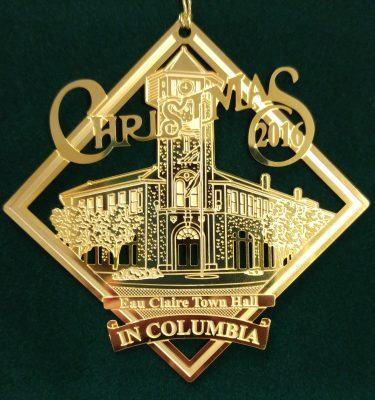 Proclaimed by the Honorable Steve Benjamin, Mayor of Columbia, as the 23rd Official City Ornament. Spirit Communications Park will be the home of the Columbia Fireflies professional baseball team, an affiliate of the New York Mets, and a 365-day a year multi-use sports and entertainment venue. Anchoring the transformative Bull Street Common development at the gateway to Columbia’s downtown, Spirit Communications Park will accommodate approximately 8,000-9,000 fans for sporting events and up to 15,000 for major outdoor concerts. With 16 luxury suites and a 7,000 square foot Club Lounge, Spirit Communications Park will be the perfect place to host large and small meetings, celebrations and civic and charitable events. When not in use for an event, the venue will serve as a public park with the 365-degree concourse providing a 1/3 mile track for walkers and joggers. The Columbia Fireflies begin play at Spirit Communications Park on April 14th, 2016 against the Greenville Drive. 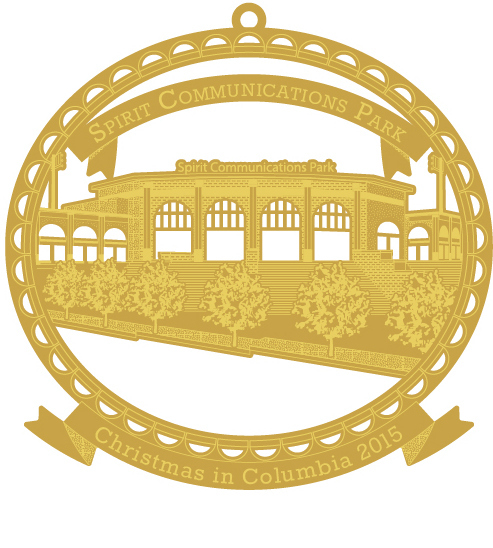 For more information about Spirit Communications Park and the Columbia Fireflies, please call (803) 726-HITS (4487) or visit www.ColumbiaFireflies.com. 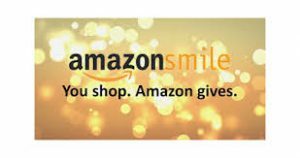 IF YOU SELECT LOCAL PICKUP, OUR OFFICES ARE LOCATED AT: 2725 Banny Jones Avenue, West Columbia, SC 29170. For any questions or concerns, please contact the Foundation at 803-799-1970.